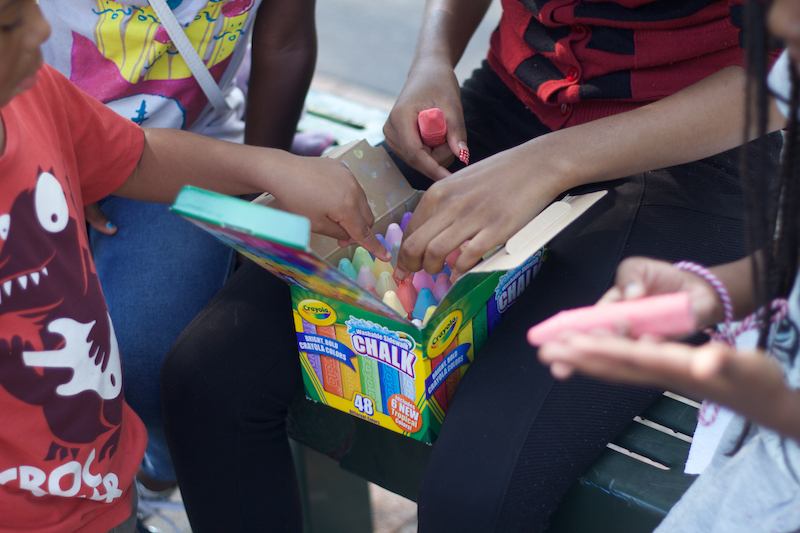 We always have the happiest campers in Brooklyn because we have sidewalk chalk! Everyone wants to play when we bring these out. Children can draw and color with these safe, non-toxic chalks and they wash away easily.